Soy sauce found on American store shelves is often made with a quick, chemical method using artificial ingredients including hydrochloric acid, sodium carbonate, caramel color and corn syrup; resulting in a harsh flavor. The main reason for the quick method is that it only takes 3 days. Real soy sauce, made the way it should be, takes 3-6 months to ferment naturally--adding time and investment to get things right. At ImportFood.com we offer only the very best soy sauce which is carefully fermented naturally in a modern, state-of-the-art facility which has international quality standard awards. Production of soy sauce begins with soybeans, which are grown in central Thailand and harvested once a year. They are stored in silos, and transported to the Healthy Boy factory when needed. When it's time to start a batch of soy sauce, soybeans are soaked in water for an hour then steamed at 180 degrees celcius, about 350 F. At the same time, pure wheat is roasted then crushed, and yeast is added to it. The wheat/yeast mixture is then combined with the steamed soybeans, where it becomes "koji". The koji is kept for about 40 hours in a special hygenic koji tank at 30 degres celcius, about 86 F. Saltwater is then added to the koji and it's transferred to a fermentation tank. The mixture ferments naturally in the tank for 4-6 months. Yellow bean sauce, however, only ferments for about 20 days before it's removed, seasoned, pasteurized and bottled. As time goes by in the fermentation process, the color of the sauce changes (it gets darker). When the sauce is ready for bottling, it's removed from the large tank and pressed by powerful hydraulic system, through a special cloth, a total of three times. The resulting dry ingredients, left over from the pressing, are used as animal feed. The liquid is then sent to another tank, where it sits for 3-7 days to undergo strict quality testing. At this point the sauce is considered "raw soy sauce" which can be pasteurized, cooled and bottled, or seasoned into various formulas such as thin soy sauce, black sweet soy sauce, mushroom soy sauce, or oyster sauce. 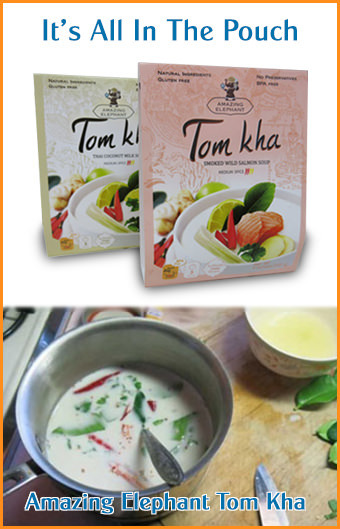 Find our Thai Sauces & Condiments here.